A high school principal who was dumped amid allegations he refused to put his students through an anti-terror program has returned to the classroom. 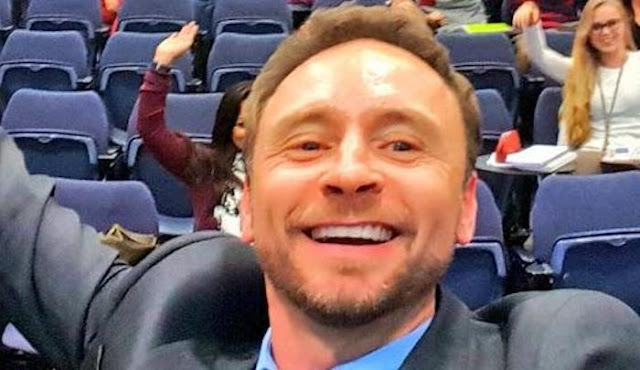 Chris Griffiths was removed from his job as principal at Punchbowl Boys High School, along with deputy Joumana Dennaoui, in March last year. Allegations against Mr Griffiths includedcomplaints [sic] from parents of students being made to participate in prayer sessions, police concerns of radicalisation and claims from teachers regarding ‘a high level of staff disunity and disharmony’. Mr Griffiths, a Muslim convert, has now been appointed to a high school in outer-western Sydney, The Daily Telegraph reported….